Again it takes a few different foundations to breath new life into the horror genre - the three main sources coming from three different countries. The main one is the Japanese gaming company Konami, developers of the original Silent Hill video games on which this movie is based. Then there is the American writer who adapted the game for the screen, Roger Avery – Pulp Fiction co-writer and director of Rules Of Attraction. Finally there is the French-Canadian producers and director who took this idea and realized it on the screen with vivid effect. 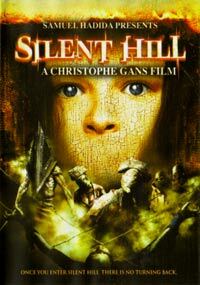 The daughter of a couple is having dangerous sleepwalking spells and nightmares of a place called Silent Hill. This place actually exists and the mother decides to take her there to try and resolve it. On the outskirts they have a near-accident. When the mother comes to, the daughter is gone. Searching for her, what she finds is a deserted town with an horrific presence, trapping them in its deadly grip. As to be expected, a film adaptation of a game has to take some liberties, and expand or reduce certain aspects to effectively make it a cinematically successful experience. The mood, style and terror of the game was brilliantly translated by director Gans, who actually played the game and was a fan before it was optioned to be filmed. He retained a great deal of the game’s elements and visuals, and didn’t go out of his way to try and change it – and as those who have played it knows, it is one hell of an experience. One of the changes includes the shift of the game’s male protagonist to that of the female role of the mother. All of the lead characters are in fact female, and if that constitutes it as being a chick-flick, then it’s the best and toughest one of the year! With the horror genre so often falling into regimental imitations and repetition of the same themes, Silent Hill is a fantastic deviation from the norm with not only intense and wild visuals, but a great story with more layers than mere surface shocks - on top of that it delves into far deeper issues like the bond of motherhood, religion, human cruelty and ignorance, vengeance and more. The double disc DVD release includes interviews and extras like Making Of featurettes looking into the astonishing set design and monster effects, the translation from game to movie, creature choreography, the cast and more. Silent Hill is an eerie, powerful and moving horror experience.